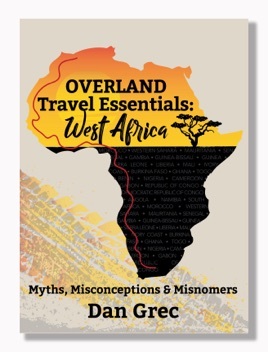 Overland Travel Essentials: West Africa puts these commonly-held myths to rest once and for all, and provides practical and real-world information and advice to successfully traverse the coastline in your own vehicle. 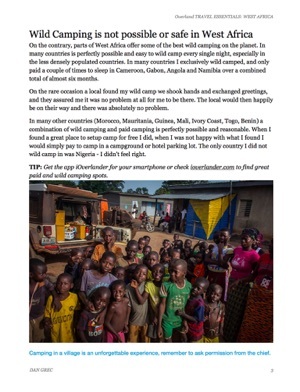 Whether you ride a bicycle, motorbikes or drive a 4x4 or large truck camper, this guide to West African Overland Travel contains the crucial information you need to make the trip successfully. 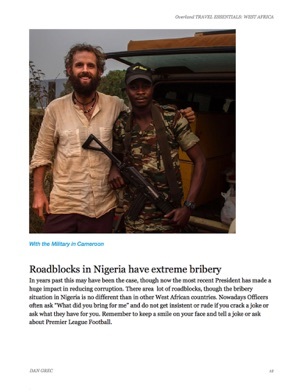 • Vehicles, people, infrastructure, health, route, practical matters, paperwork and legal matters. 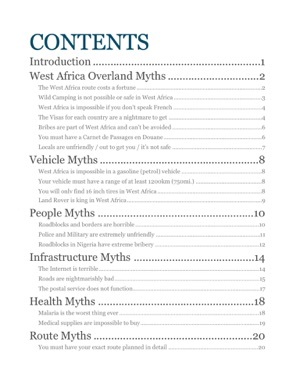 • Gasoline (Petrol) and Diesel prices for all 22 West African countries. 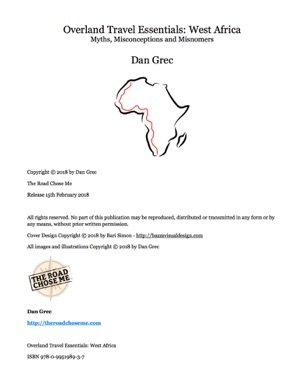 • Visa information - where to obtain each Visa and how much they cost for all 22 countries. 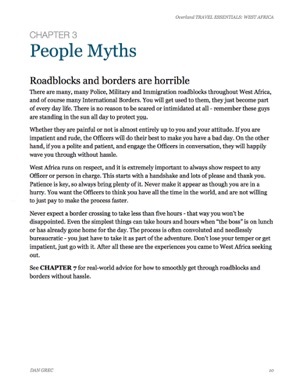 • Bribery tips, tricks and advice. 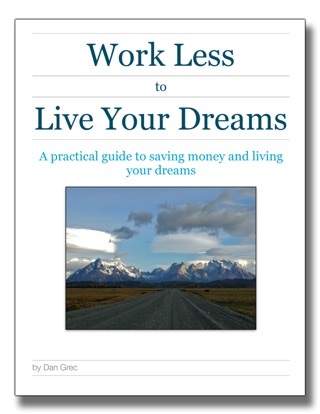 • Real-world tips and practical advice. 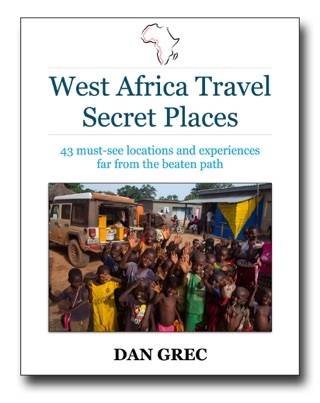 • West African Highlights not to be missed. 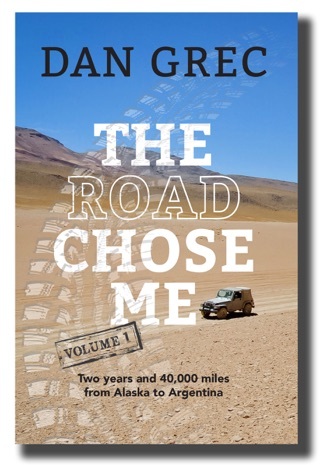 Based on my personal Expedition from Morocco to South Africa from mid 2016 to late 2017, combined with the experiences and knowledge of the many Overlanders I bumped into along the way.